This is a specification list for the Dell Inspiron i3252-7550BLK SFF desktop, a small form factor PC. Budget desktop PCs have always had a bad name associated with them because of how often they are prone to fail, break or basically perform dismally. Most users have complained of having to replace such once or even thrice in a single year. But being budget does not necessarily have to mean dirty because there are better systems out there that will give you the productivity you need to handle work, office documents or just watching movies inexpensively. 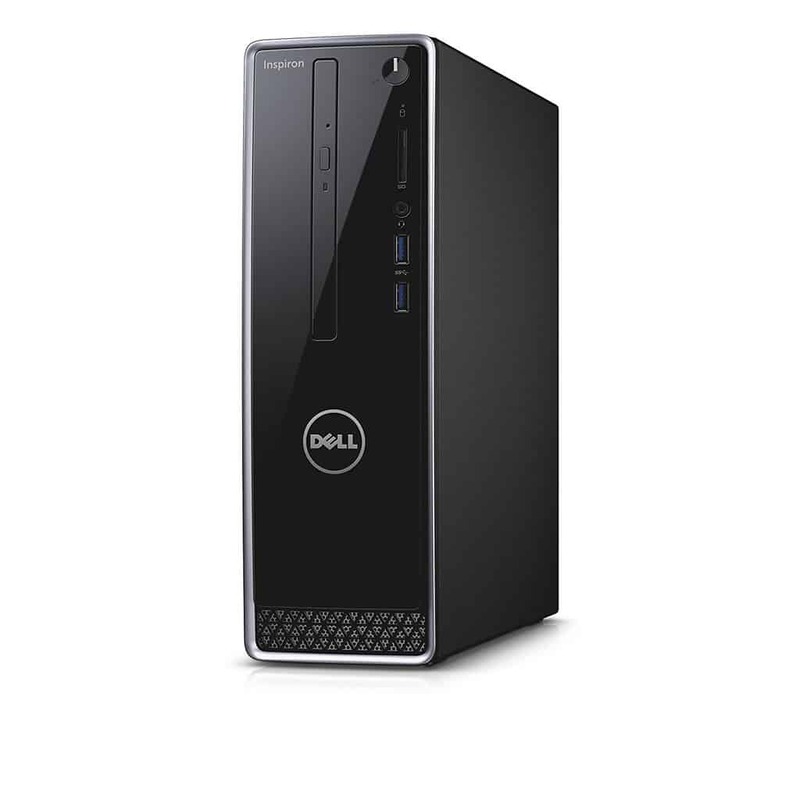 Dell Inspiron i3252-7550BLK desktop is an affordable option for web browsing, viewing online videos among other uses. I’m talking about streaming movies on Hulu, Netflix or just using Photoshop. Also, just as the name (SFF) suggests it’s best suited for users with limited space on their desks. Or simply for users looking for a small form factor PC that’s easy to carry around the office/home. Here are some of the good aspects working in this PC’s favor. So should I buy the PC? While Dell has other larger desktops in its lineup, it’s also a purveyor of small factor desktop PCs like the Dell Inspiron i3252-7550BLK. For less than $400, you can get this decently built PC with the capacity to handle every-day productivity. The Pentium processor coupled with 4GB DDR3 memory give the system more than enough much to handle tasks such as web browsing, viewing online videos and streaming movies on Hulu, Netflix. We love the fact that the PC is a small form factor, fits in tight spaces and ultimately its great starting price point. What do you want in a desktop computer? If your basic needs include the listed functions, the Dell Inspiron 3252 is a recommendable choice. More so for budget users looking for a PC for general productivity. Check out the Dell Inspiron i3252-7550BLK desktop full review(soon to come).